Have you used your craft supplies to create home décor items? Florals are a design element that can be integrated into virtually any style by customizing colors and creating pieces that are more traditional or more modern depending on your preference. 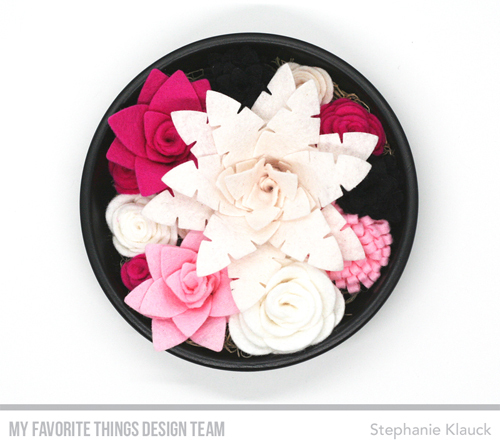 Felt is a fun and forgiving material to die cut and as you’ll learn in this video from Stephanie, the perfect medium for crating flowers that will stand the test of time. Watch Part 1 of this flower garden series HERE, or by watching below. For more tips and tricks, make sure to subscribe to our Youtube channel! Just imagine all the looks you can achieve with different colors and container options! Ready to break out your felt and Die-namics to play florist? Tag your MFT projects with #mftstamps and #mftfeltflowers - you might just be spotted. 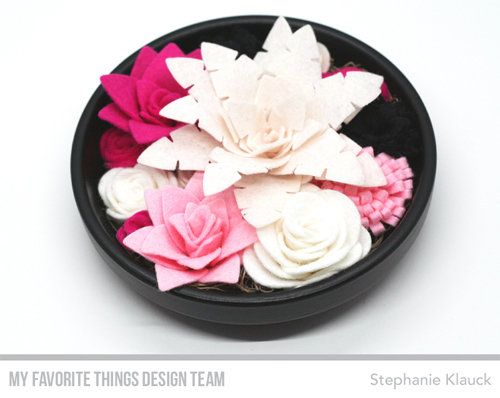 I love using my MFT felt & floral dies! Time to do that again! Thank you so much - I can hardly wait for the next instalments! !